Beautiful! I think I might make this my next Leader/Ender project :) What size were your corner stones? I’m in the process of making this too! 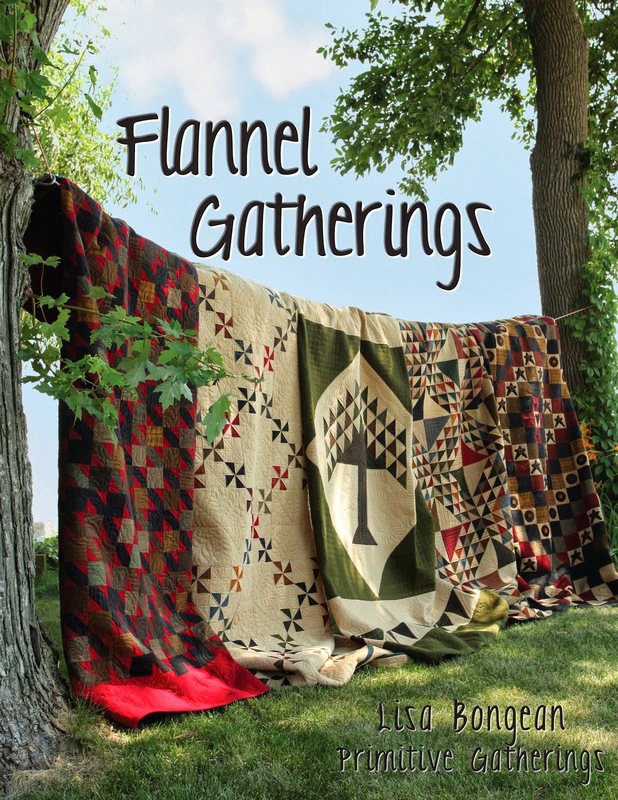 I bought a bunch of reproduction 5” squares from Primitive Gatherings. Mine is navy, red and black. All my blocks are done, just need to assemble it into a top and quilt it on my Innova. Thank you for the inspiration to get moving on completing mine. Yours is gorgeous and it will be perfect for Christmas time! Thank you for sharing! Thanks Janet! You’ll be so happy you finished it! Its a fun quilt to make and enjoy! I love all red and white quilts and this one is my latest favorite. In a moment of weakness and thinking how many red and white quilts do I need to keep I gave my red and white snowball quilt to my dad, ugh. I may need to piecer another for me. Beautiful quilt, perfect quilting. Beautiful, now I want one!!! Thank you Julie! You totally need one!! It's amazing how such a simple block can create such a stunning quilt! I made one almost exactly like it only mine had blue in it as well and was given as a Quilt of Valor. I LOVED it and so did the recipient! I LOVE IT!!! It is stunning!! And I'm also a fan of Temecula Quilt Co! Thanks so much Susie! It’s def a new all time favorite!! 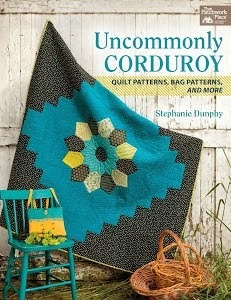 Beautiful, and I really like the quilting pattern you used. Beautiful quilt and beautiful quilting. 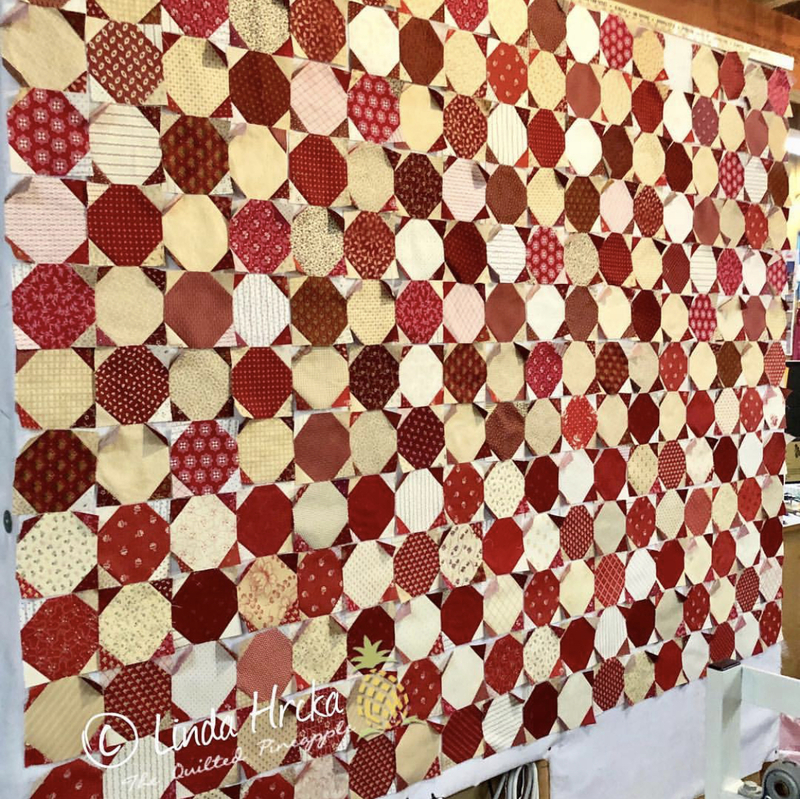 I'm normally not a big fan of red, but your quilt is spectacular! Love the quilt and the quilting is wonderful, too! I absolutely LOVE red and white quilts and I also love the snowball pattern, so your quilt really "speaks" to me. It truly is beautiful and the quilting design you used really works well with this pattern. I just may have to add a red and white snowball quilt to my "hurry up and make list". Thanks so much Kath! You totally should make one!! I'm not real fond of most red and white quilts but this is beautiful... love it. Thanks so much! This would be a pretty quilt in a fabrics I think. You can’t go wrong there. Lovely ~ due to your inspiring example, I now have added a similar one to my 'to make' list! Thanks Marty! Yes, you totally need to make one! Looks amazing! and no small accomplishment, this quilt is gigantic! Good morning, Linda, I followed your link and saw all the edge to edge designs, but couldn't see anything that tells about your quilting services. What do you charge per inch? Most of my quilts are (+ or -) 50 X 60 wall or baby quilts. Now to get started and that snowball quilt! You make me wish I had begun when the TQC first posted about it. Yours is so beautiful! Thanks so much! If you click on the pattern choices, all the info comes up regarding pricing and such. NEW!! Machine quilting by mail. Let us finish your quilt with a gorgeous edge to edge quilt design. We offer gorgeous quilting at an affordable price! All quilting is done on a computerized machine. We proudly use an Innova AutoPilot longarm. *** .02 cents per square inch (psi) on all designs. No additional charges for thread and batting! FREE RETURN shipping for domestic customers! For example, if your quilt top measure 60" x 60"= 3600 square inches. Price 3600 x .02= $72.00 total cost. -$10 deposit is required on your order to secure your spot. The deposit will be deducted from the final invoice. -international shipping available at additional cost. --please do not reserve your spot until you are ready to ship. --edge to edge computerized quilting only. --quilt backing MUST be 5-6 inches bigger than quilt top on ALL sides. Backing must be pieced and ready to load. No exceptions. For example if your quilt top measures 60" x 60", then your backing needs to be a minimum of 70" x 70". --quilt and backing MUST be pressed well, free of holes, loose threads and squared up. Do not leave uneven edges or piecing. Tucks and puckers will not "quilt out". Stay stitch around quilt if you have seams or pieced borders. --High quality threads from Superior, Fil-Tec and Innovatech. We will choose a thread that blends best with your quilt top. Top and bobbin threads will match/blend. --you are responsible for shipping costs to us. --once your order has been placed, you will receive an email with details, including where to ship your top and backing. it is gorgeous.. Love it. Linda this is gorgeous! I am working on a blue and creamsnowball quilt like the one Lisa Bongean made. So, do you also stitch down one side of the binding with me providing the made binding, if so how much do you charge? Audrea- thanks so much! If you could email me or supply an email as you are no-reply blogger, I can provide info. Thank you. It seems your snowballs are more "circular", with less defined lines. I like it like that, how did you do that? did you make your four squares smaller? I love the red/white and have a huge stash this would be perfect for! Bonnie- thank you! In my next post, I linked to the sew along with the free pattern. Hope that helps! Oh my gosh, that snowball quilt is to die for. I will just have to admire yours from afar, as I doubt I will ever make one. I can see all the hard work you put into that. I laughed out loud, when you accidentally vacuumed them off your wall. I can relate to that when I have the window open in the summer and the breeze takes all my blocks of my design wall. I love that you're blogging again, I miss your reading your sense of humor. Btw, I wouldn't put that snowball quilt away either. I would sleep with it under my pillow for fear my friend would steal it.